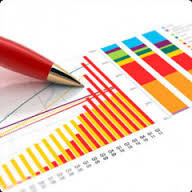 We help to build up a cash forecast plan based on the clients input of data taking into account the available cash resources. One of the most important processes in any economy is the flow of cash and currency within the system. It involves special capabilities and stringent adherence to risk management systems to be able to facilitate the secure movement of cash between banks, retail outlets and consumers. Writer Safeguard is in the business of making sure that this cycle runs smoothly. Cash van with armed protection and cash officers for Bank ATMs, petrol pumps, industrial houses, jewelers, supermarkets, retail outlets are available at reasonable rates. Build and scale your banking Operations with our industry leading transactional banking Platform – (iCashPro). Drive efficiencies by enabling your corporate customers to manage their receivables and payables most efficiently. Aurionpro’s iCashPro product suite is a fully integrated, web-based, end-to-end banking solution. - Guarding of Branches & ATM. - ICMC (Integrated Currency Management Chest) Operations. We provide specialized service for Bank’s product called “Cash Management Services. We provide services as a coordinator at Locations where Banks does not have their own Branches and also at Branch Locations. Services are rendered as per Bank’s requirement. One of the most important processes in any economy is the flow of cash and currency within the system. It takes special capabilities and extremely stringent adherence to quality systems to be able to facilitate the movement of cash between banks, retail outlets and consumers. Writer SafeGuard is in the business of making sure that this cycle runs smoothly. Basicaly for financial institutions, different organizations with regular transaction record and physical movement of cash on regular basis. This serviec ensures total concentration on the actual job rather than being concerned about the safety, security and timely movement of physical cash to the destined secured repository. We are one of the well-known organizations of Cash Management Consultancy. Our provided services are accomplished utilizing the advanced techniques and innovative ideas. We provide this service in diverse patterns and forms that meet on client’s demand. Over the last few years, BIS Cash Service Division has developed its business with a strong focus on Customer needs and designed to meet customer requirements. This service includes secured transfer of cash and valuables, ATM replenishment, Vaulting and Processing Services, multi-point cash collection and Caretaker Services. Couriering of outstation cheques (which are not payable locally at the center where they are picked up) to corresponding drawee branches located at the various domestic destinations and couriering back the realization advice to corresponding branch bank.